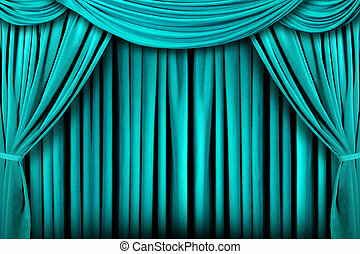 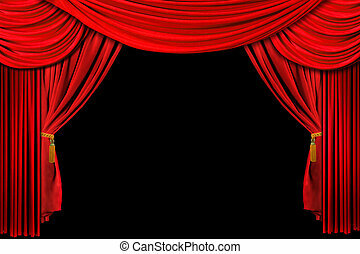 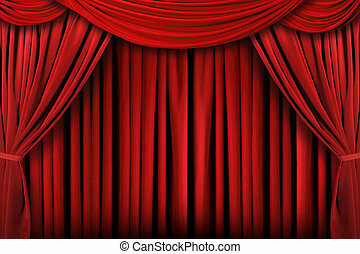 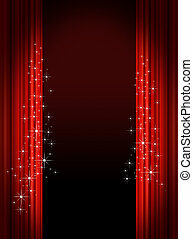 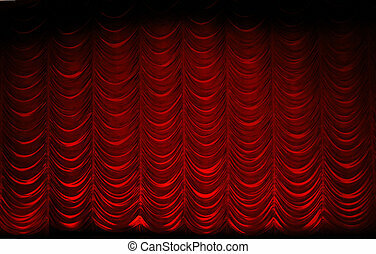 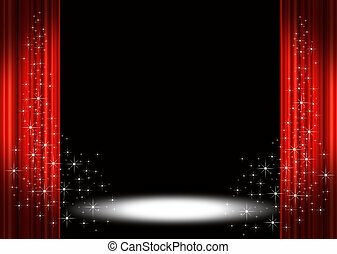 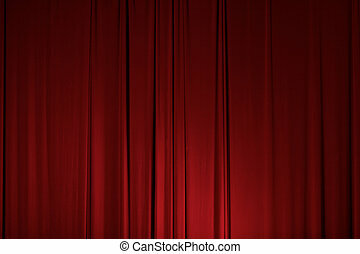 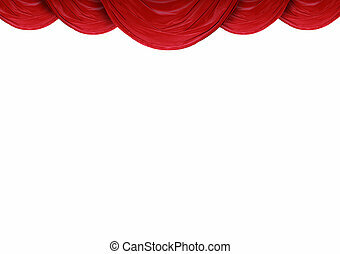 Stage theatre drape background. 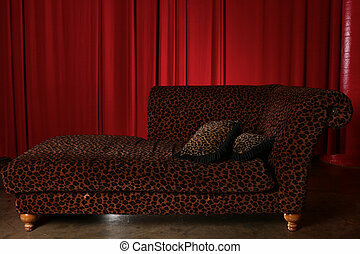 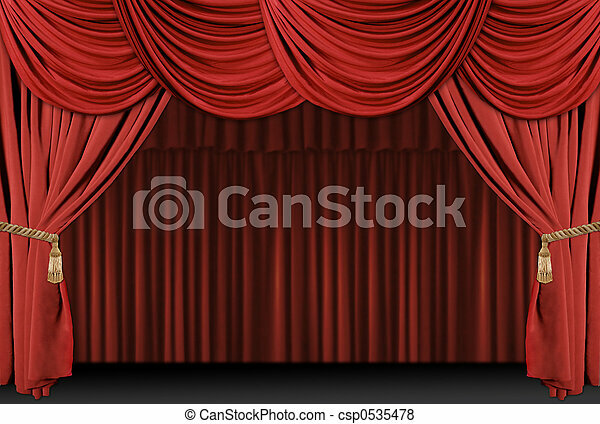 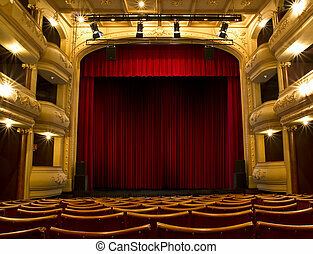 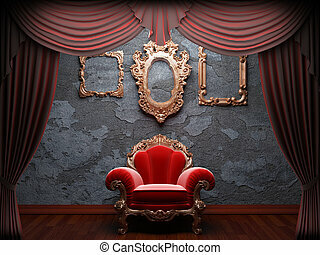 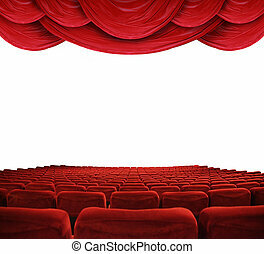 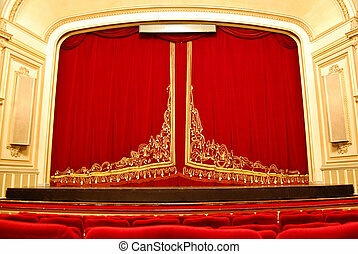 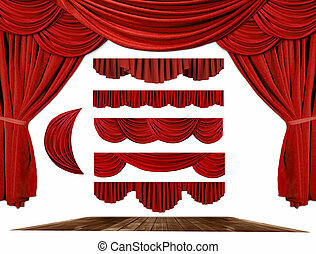 Old fashioned, elegant theater stage with velvet curtains with tassles. 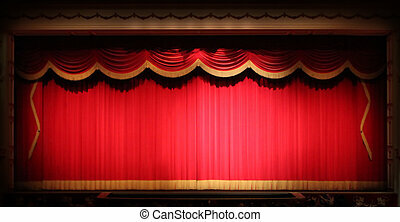 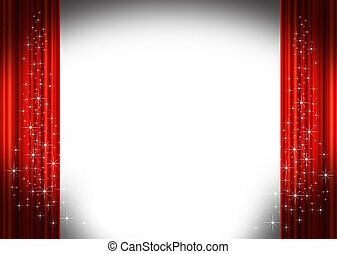 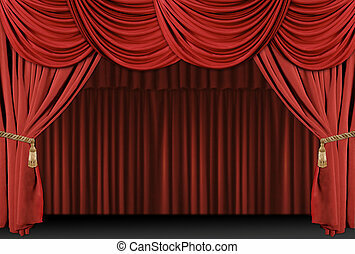 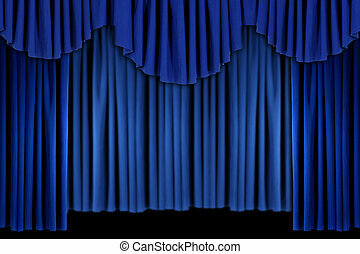 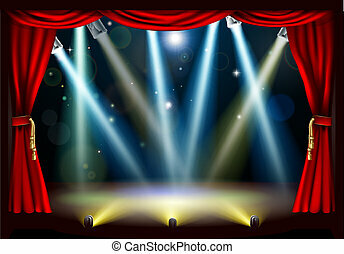 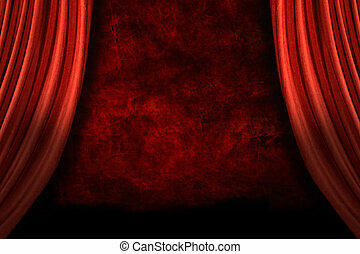 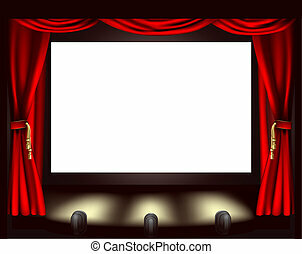 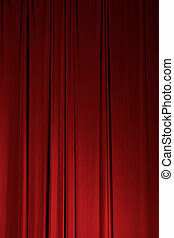 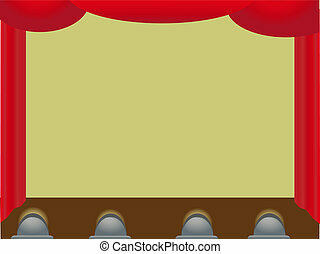 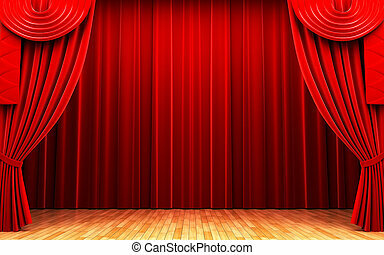 Real Stage Theater Drape Background With Yellow Vintage Trim. 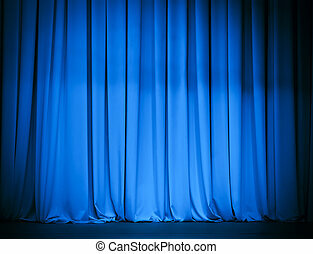 Image Has SLight Noise Due to Lighting Conditions.